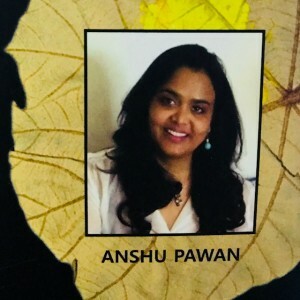 Anshu Pawan, a Figural-Abstract Artist who belongs from Jaipur. She has done several solo shows in Delhi, Pune and Vadodara. She has a studio in Sodala, Jaipur. She creates Figurative and Abstract art Paintings. She also works on wooden panel. Recently she is working on Series Ganesh. According to her Painting is like breathing. She can express whatever is on her mind and heart through the images that “flash upon her inward eye”, in conscious or semi-conscious state. 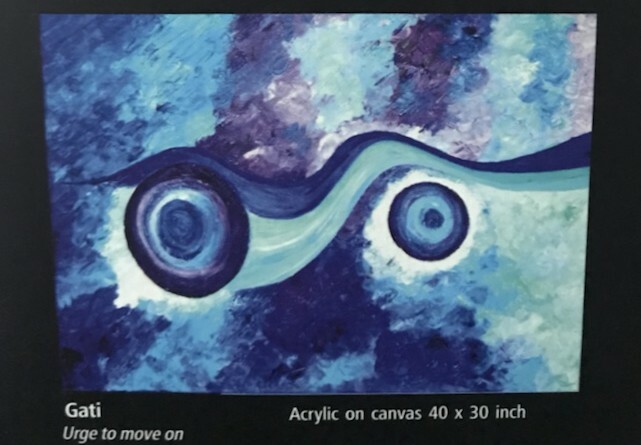 Painting helps her to find her voice and expression becomes the language to recall the deepest joy of her heart or the anguish that hurts her soul. Her words Art is a world in itself that is created by her and surrounds the artist. He stands in the middle of this beautiful universe enjoying this lovely gift of Art and Beauty. Art helps me connect to the cosmic. I work with mix media and enjoy experimenting with different textures and mediums. 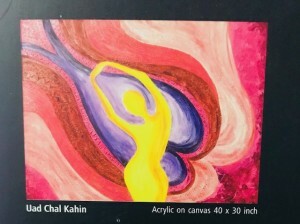 Her painting are Bliss Art which is create on acrylic on canvas 40×30 inch, Shristi Art create on acrylic on canvas 40×30 inch, Reach For Dreams create on acrylic on canvas 36×36 inches, Uad Chal Kahin creates on acrylic on canvas 40×30 inch and Gati Art create on acrylic on canvas 40×30 inch.